After the vote to leave the European Union the population of the United Kingdom became the target of a multitude of fake messages and claims. One side claims the Brexit will put the majority of British workers out of work. Others claim the national health system (NHS) will save a lot of money are illegal immigrants will not be able to use the health system for free. Some “remainers” warn of the military becoming so weak that it can not protect the nations waters. The police and border control is supposed to become helpless in fighting crime. Is Britain really defenceless after Brexit? Interesting enough, the United Kingdom has the most sophisticated intelligence and surveillance service in the European Union. This includes GCHQ, MI5 and MI6. The well equipped and trained investigation units of Scotland Yard are often ahead of time. The British armed forces have some of the best trained and equipped units. The people of the United Kingdom and its allies fought a seemingly hopeless fight during the first years of the second world war. Just to remind you: In May 1940 the British had 362 aircraft available to fight more than 1200 enemy aircraft. Nevertheless, they were able gain time to increase the fighting strength to 701 serviceable aircraft in September 1940. Eventually the Battle of Britain went down in history as one of the most honourable fight by a small aircrew consisting of British pilots, common wealth pilots and foreign volunteers. 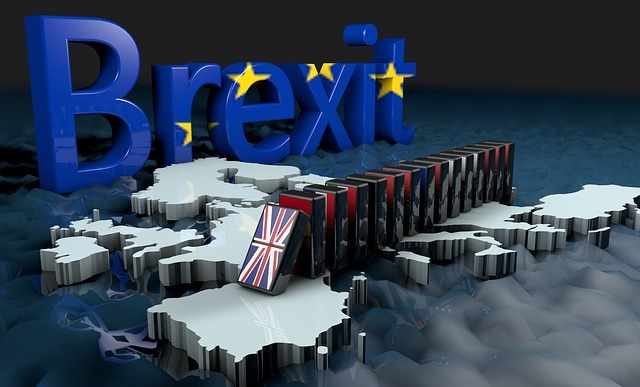 It is really the European Union that will suffer a considerable loss as it will not have the valuable intelligence data available that is the result of joint British and American efforts. No other country belongs to the intelligence cooperation consisting of 4 nations that is based on the extensive intelligence resources of the US and the UK. The European union is trying to gamble its gains higher than necessary by threatening British companies and foreign investors of losing access to a market with 446 million citizens. The fact that continental companies will lose access to 60 million customers. Due to the European initiative of the last decades European companies on the island and on the content have sourced parts and services from all member states. Therefore, a Brexit will have losers on both sides if the political establishment in Brussels decides to take an unreasonable stand to damage the economy of both sides. It is politically uncanny to blackmail British companies and foreign investors. This can backfire as investors recognize that a less bureaucratic UK might be a better place to be than on the mainland. The complexity of producing products and managing a business in the future European Union might be by far costlier as the European bureaucratic system invents new rules and taxes. The chaotic and imprecise GDPR regulations show how a bloated European Union becomes victim of its own complexity. Companies around the European union have been confronted with regulations that are hurting trade and are actually against the will of customers. A few over motivated thinkers with conflicts of interest have created a technically unrealistic demand towards companies. It is as if the EU does not want entrepreneurs to create jobs. Instead of businesses focusing on creating jobs and expanding their business models to create a healthy trade system, bureaucratic rules try to stiffen growth in the European Union. As we read in the news some big corporations are trying to gamble a better position by threatening to move their factories to the eastern European countries. When you reflect upon these threats, it actually is a warning for all workers unions in western European countries. These companies will move jobs from the UK, France and Germany to countries such as Czech Republic, Poland, Romania or Hungary. Hence, the European and British factory works will loose on the Brexit aftermath, if we critically listen to what the core message of the corporate threats are. As companies gain tax deductions and beneficial exclusions of regulations, they will try upscale the benefits they are negotiating. Countries like Ireland hope to gain a substantial amount of jobs that would be transferred from the UK. High wages and housing issues in Ireland will present issues for leaving companies so that the opportunities in the Eastern European countries will be more attractive to the moving companies. Lower wages and weaker worker protection will make countries like Poland and Romania the winners of the EUs gamble on Brexit. As politicians and corporations gamble around Europe’s future, the European economy and employment market will go into a spiral of uncertainty. If the European political establishment overstrain their luck, they will provoke one of Europe’s worst recessions. The radical forces in European countries will succeed to weaken conservative forces and feed a hatred driven radicalization of society.